Our vision is to become the next standard format. 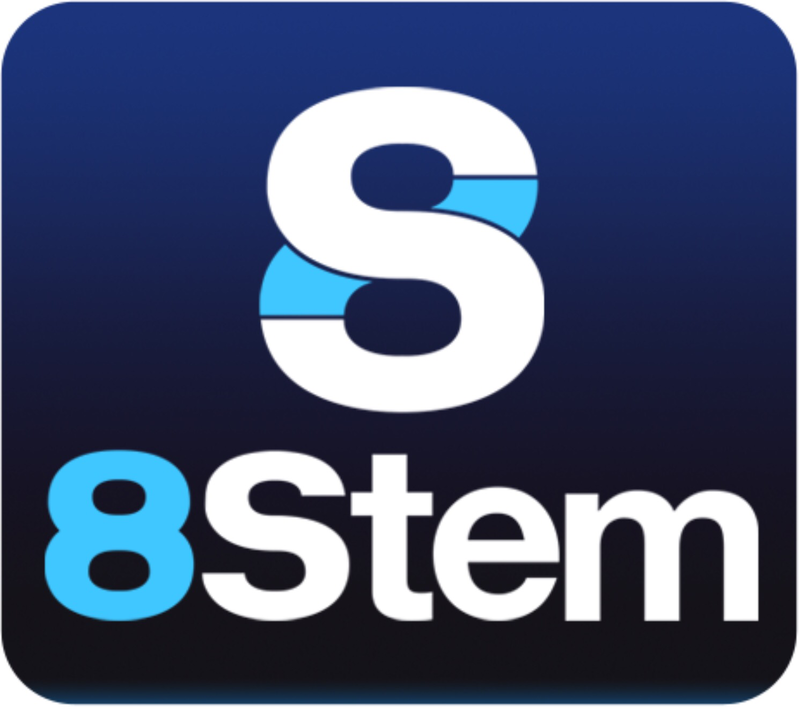 Interview with Bruce Pavitt and Adam Farish, founders of 8Stem. Bruce Pavitt is well known as one of the founders of Sub Pop, an alternative label which in 1980s kickstarted the success of grunge bands as Nirvana, Soundgarden and Mudhoney. By the other hand, Adam Farish, is musician, producer, sound engineer, and tech entrepreneur. Both, have created 8Stem, which according to their web page is a revolutionary, interactive audio format that allows any listener to remix music like a professional DJ or sound engineer. Paired with the first multi-channel playback and remixing app, 8Stem signals a new era of music that is participatory, immediate and social. In short, the interactive music or the music as a puzzle. 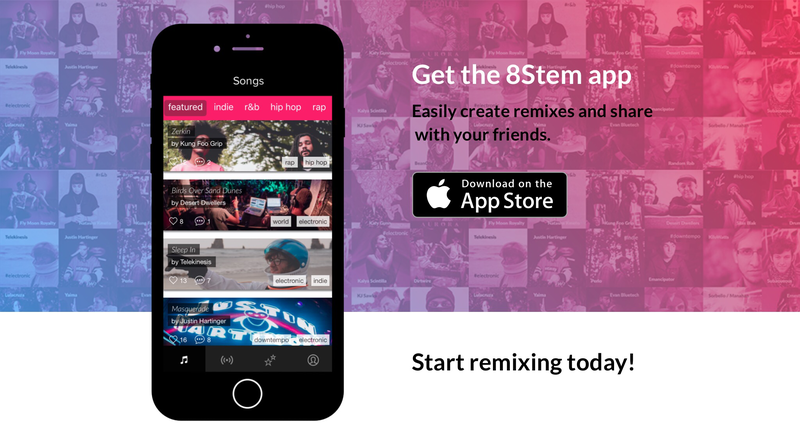 Additionally, by providing the content, tracking, and remixing platform, 8Stem will become the source for artists to promote their songs to be remixed – and for aspiring remixers to gain recognition from friends, peers, or the original artist. 8Stem recently launched an app that can be download from the App Store, and currently you can remix music by, among other artists, Nine Inch Nails, Telekinesis and Fly Moon Royalty. The Echo Music interview to Bruce Pavitt and Adam Farish via e-mail about this innovative app, the business model of 8Stem, how this app can improve the experience of the music fans and about their perspectives with respect the future of the interactive music. Question: Where comes the idea to create 8Stem? Adam Farish: I have always been addicted to music, and I’m most at home in the studio, behind a mixing desk. I want other people to experience music like I do, being able to pull a song apart, listen to the different parts, and customize it. Bruce Pavitt: I have always been interested in regional music scenes that inspire participation by the community. 8Stem takes this to a global level by enabling any music fan to participate in the creative process with artists. Question. What is 8Stem as enterprise? Is an enterprise of music or an enterprise of tech? Adam: It’s the best of both worlds, a technology platform that enables music creation on at scale. Question. Which is the 8Stem mission and vision? Adam: 8Stem is an artist-first company. Our mission is to enable participation in the music creation process while generating a new revenue stream for artists through crowd-sourced remixes. Bruce: Our vision is to become the next standard format. There’s only been a handful of formats – Mono, Stereo – even a digital Mp3 is basically a stereo format. 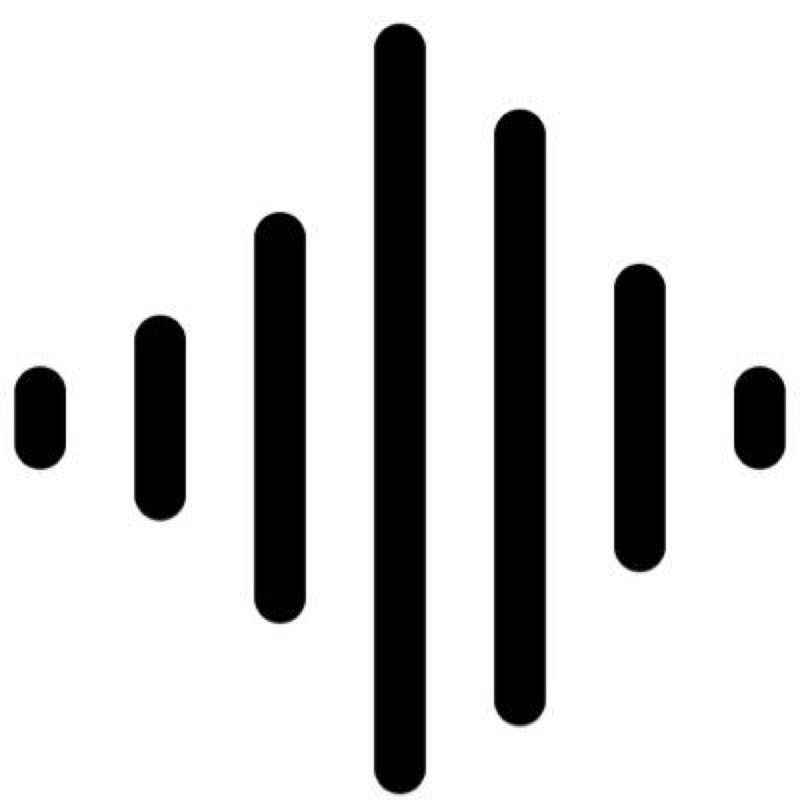 8Stem is a format that allows interactivity – not only can you listen like stereo, you can engage by manipulating the stems that make up the song. Question. Which is the market sector of 8Stem? Adam: 8Stem is for fans who want to engage deeper with music. Not only by controlling how you listen to a song and it’s stucture, but also by connecting with the original artist and vice versa. Question. 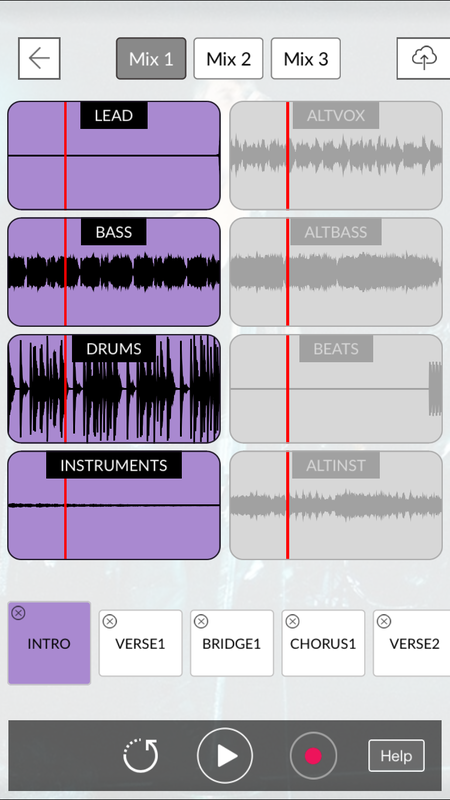 Which is the difference between 8Stem and other apps to remix music? Which is their competitive advantage? Adam: 8Stem comes with everything you need to create a remix that sounds amazing – it comes with the original song and additional elements that you can combine to make it your own. We’ve built the app so that every remix sounds good – even if you have no experience as a musician or producer. At the same time, 8Stem has a lot of options to radically remix a song, including effects, automation, re-arranging song sections, even adding your own voice. Bruce : I’ve been in the music industry for nearly 40 years, and I’m constantly working to deliver new value to artists. Because of my association with Sub Pop, I’m able to attract creative artists. Once you have a few creative artists on board, their friends want to join the party and momentum builds from there. Question. Which are your insights about the interactive music? Adam:I can tell you that the technical challenges are significant, but the technology allows anyone with a phone to be creative. Bruce: One of the things we didn’t foresee, but is totally obvious now, is that virtual reality will be huge very soon, and VR will use interactive music to compliment the experience. Virtual reality and interactive music go hand and hand. Question. Is 8Stem creating a new market sector? Adam: We are adding new value to an existing market sector! Bruce: 8Stem is lowering the bar to participate in an already huge remix market. Go to YouTube or Soundcloud and you can see the appetite for remixes is massive. We are simply legitimizing that market and opening the door for anyone to participate. Question. How does it work 8Stem in relation with the songs that the musicians load in the app? Adam: The artist has to submit their original track on 4 stems. Stems are groupings of audio like drums, bass, vocals or guitars. Our producers create 4 additional stems that can be mixed and matched with the original. We then master the 8 stems into an 8Stem audio file. Bruce:Adam is the tech guy. Also, I’ll give a lot of credit to our CTO, Mark Puckett. What he has built is nothing short of amazing and opens the door for new releases and legacy content to be repurposed for interactivity. Question. Which are the artists collaborating with 8Stem? 8Stem contacted them? There are any collaboration with the artists of Sub Pop label? Bruce: We working with about 35 artists, about ¾ of them are from Seattle. We are following my blueprint for Sub Pop, basically utilizing the talent in our backyard. We’re lucky the hip hop scene here is totally blowing up! One of our upcoming artists is Porter Ray, who has an album coming out on Sub Pop. Question. In which parts are divided the song? How can be manipulated? Adam – The songs are divided into 8 stems. Each stem contains a grouping of audio, like drums or vocals. Songs are also divided into 8 sections – intro, verse, chorus, etc… So you end of with a 8×8-square grid. You can also add effects and mutes to each section, record automation, re-arrange the song parts, etc… in addition to adding your voice. Question. The remix done, is property of the artist or of the users of the app? Adam: Once a remix is done, it becomes property of the original artist. Question. There are plans to work with labels or streaming platforms to load songs in 8stem? Bruce: Yes. But right now we’re operating like a singles-oriented record label. We are picking the best songs from labels or directly from the artists we’re working with. The 8Stem roster is curated by me. But in the future, we hope all artists will be releasing 8Stem files, and they can upload their tracks themselves, like Soundcloud or Youtube. Question. If the app can be download for free… Where comes the revenue in the 8stem? From publicity? There are plans to sell the songs? If this is the case, there will be a fee for the artists who load the songs? Adam: The app is free and right now the music is free. We can push our remixes to Apple Music and Spotify and earn a percentage of that streaming revenue. The original artist will earn the bulk of streaming royalties. Eventually we hope to have premium stems for sale by name producers and in-app purchases for effects and filters. Question. Which are your insights about the future of 8stem? Bruce: I’d like to see an artist release a song on 8Stem, and the next day have thousands of kids from around the world remixing it. Maybe a kid from South Africa remixes a track from a Swedish artist, and they make a real connection through the platform we have created. Music is the quickest route to harmony, and the world could really use a little more harmony right now. NextThe death of the rock?